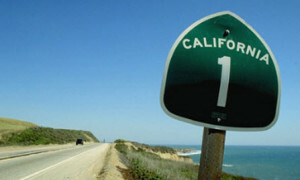 The California Energy Commission will be spending $20 million to build 50 hydrogen fuel stations that will comprise California’s “hydrogen highway.” The hydrogen highway is meant to serve as a fueling structure that extends along the state’s most popular highways. This will allow those with fuel cell vehicles to travel from Los Angeles to San Francisco without having to worry about running out of fuel during the journey. California currently has 10 hydrogen fuel stations in operation, most of which are located in the Los Angeles and San Francisco areas. These stations are only serving a handful of fuel cell vehicles that are currently running throughout the state. In the near future, fuel cell vehicles are expected to become more prolific, but their success with consumers is largely dependent on the existence of a comprehensive hydrogen fuel infrastructure. The California Energy Commission is set to build its first new hydrogen fuel station in the city of Coalinga. This will serve as a fueling point for those traveling from Los Angeles to San Francisco. Fuel cell vehicles have been praised for their efficiency, being able to travel for more than 300 miles before needing to refuel. This is one of the attractive features of fuel cell vehicles, along with their performance capabilities. California is expected to become a very active clean transportation market in the coming years. Automakers have plans to bring their fuel cell vehicles to the state later this year and they have also been investing in the construction of new hydrogen fuel stations. California is not the only state working on developing a hydrogen infrastructure, of course. Other states along the west coast are also building stations to connect to California’s hydrogen highway in an effort to make travel via fuel cell vehicles more convenient for consumers.